Seat by the pool, check. Views to die for, check. That was a great Friday after work get-together! 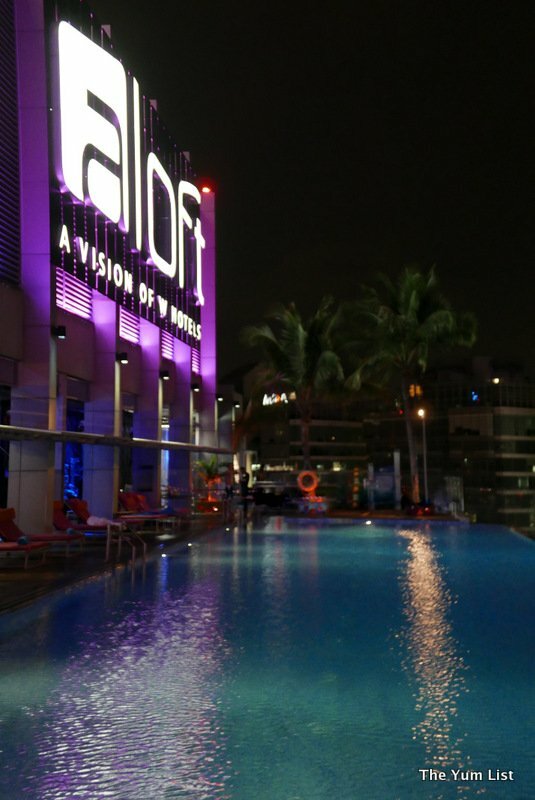 Nestled amongst the bustle of the KL Sentral vicinity is business hotel, Aloft. 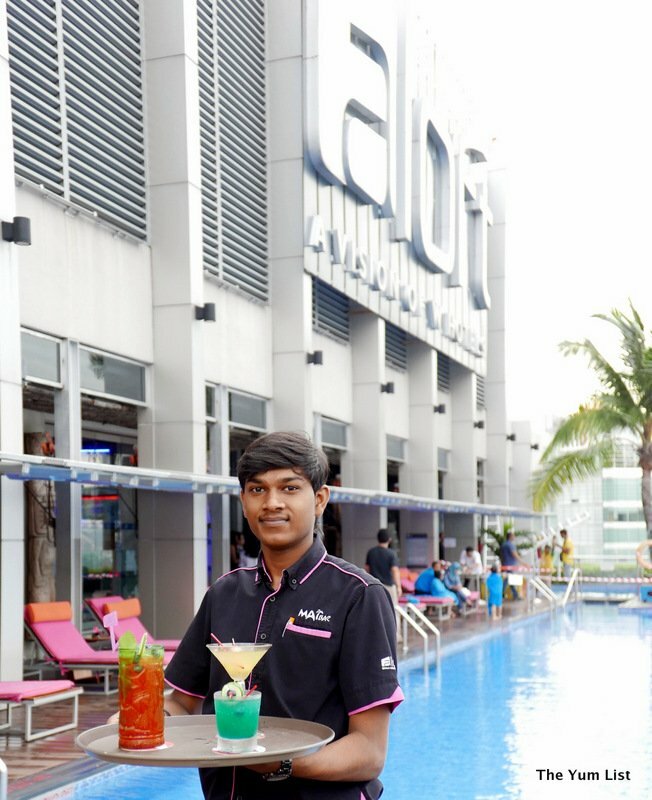 Known for their quirky spaces, amazing culinary offerings, and downright awesome hospitality, Aloft have been around for the past few years. 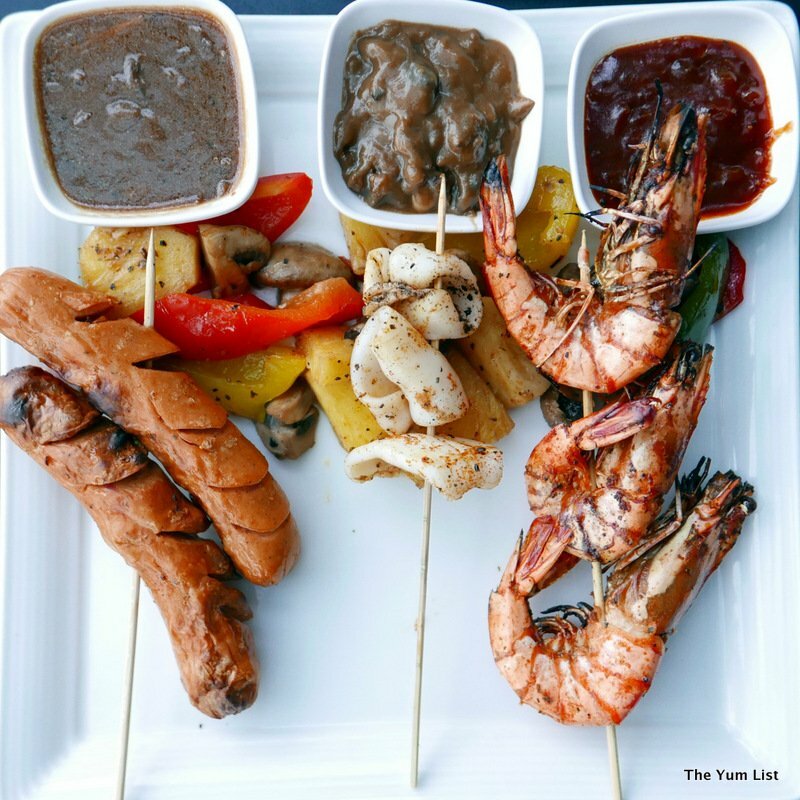 What I didn’t know about, however, was their gorgeous rooftop bar and grill – poised with views of the KL skyline – and stunning views they are too. Not too crowded – you can still hold a conversation with your drinking companions – a big bonus for me – it was a good-sized friendly crowd, lots of laughter, bubbly banter, and a relaxed vibe. 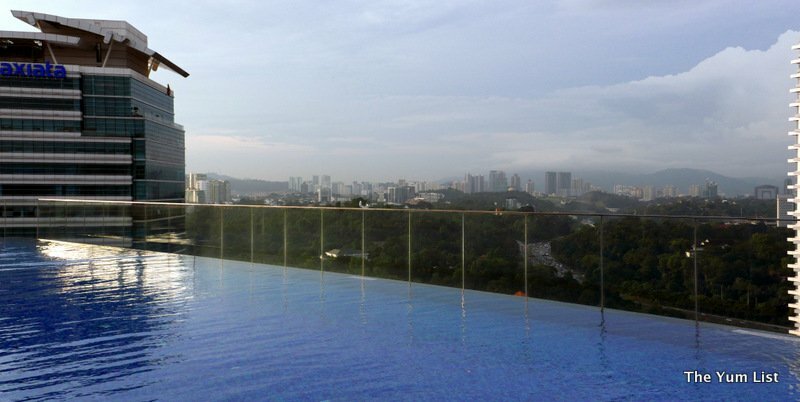 Variable seating options meant that you can relax poolside, or take a table overlooking the vista. We had a table just back from the railing, but suitably placed for a gentle breeze. 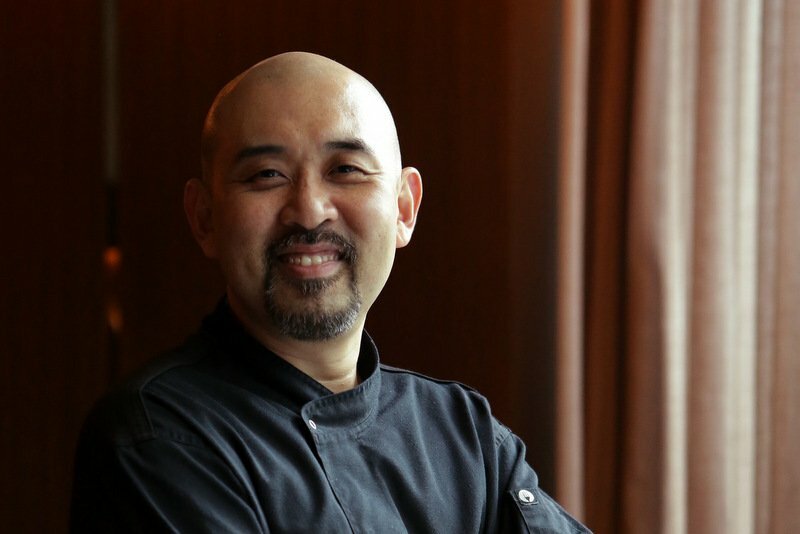 Mai Bar invoked the services of specialist mixultant (mixologist + consultant), Joseph Boroski, the name behind Sip Slowly and BAR: School, to expertly craft signature cocktails for the venue, giving their guests taste experiences not explored elsewhere. Working our way through the signature cocktail offerings (it’s our job, after all) was a delight. 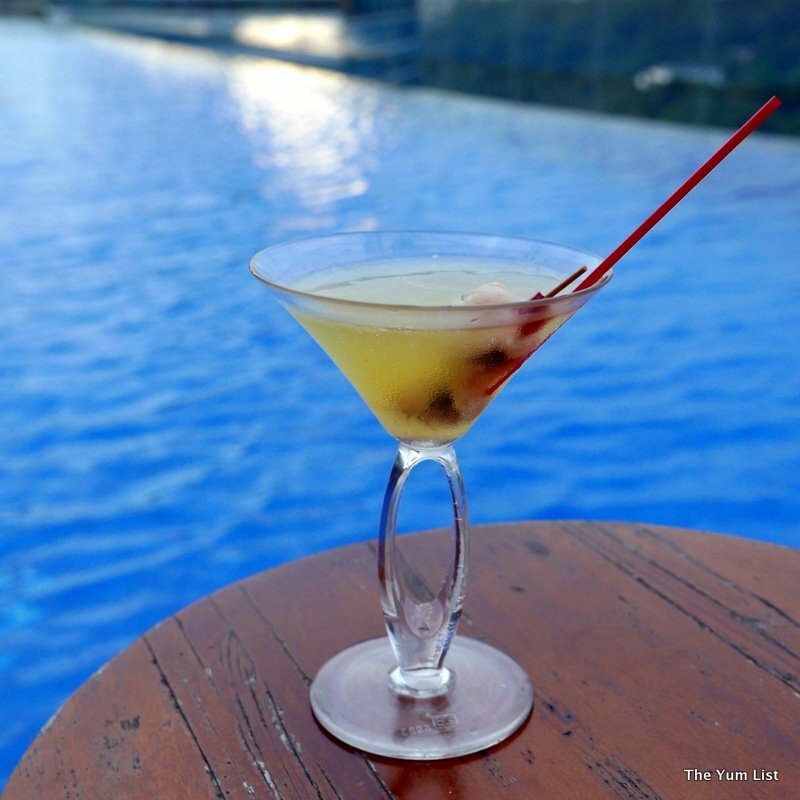 The Malaysian Princess Mai Tai came highly recommended – silver rum pressed with blueberries and kaffir lime, topped with golden rum, pineapple and orange juice. Basically, rum, berries, juice, and more rum! Yes, definitely needed on a Friday night! 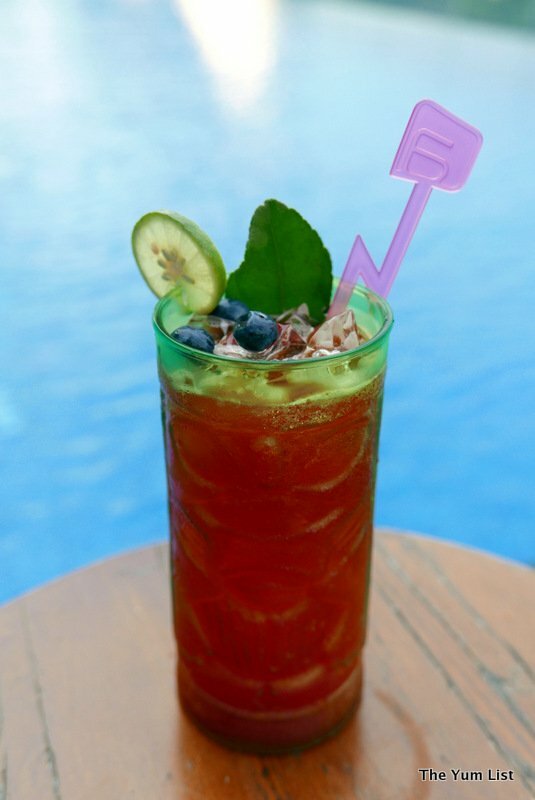 It’s not often you get blueberries in a cocktail, and these added a great twist to the traditional Mai Tai. My personal favourite – probably because of its colour – was the Moana Puru. 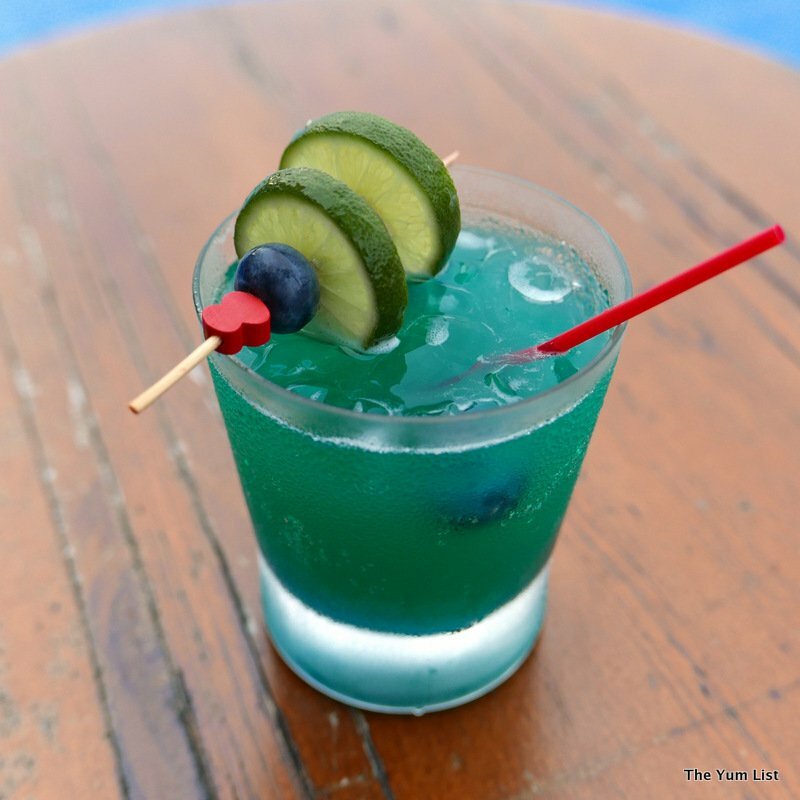 Vodka (oh so important for me), passion fruit, lime juice, a splash of lemonade, and blue Curacao. Not too sweet, but super refreshing. 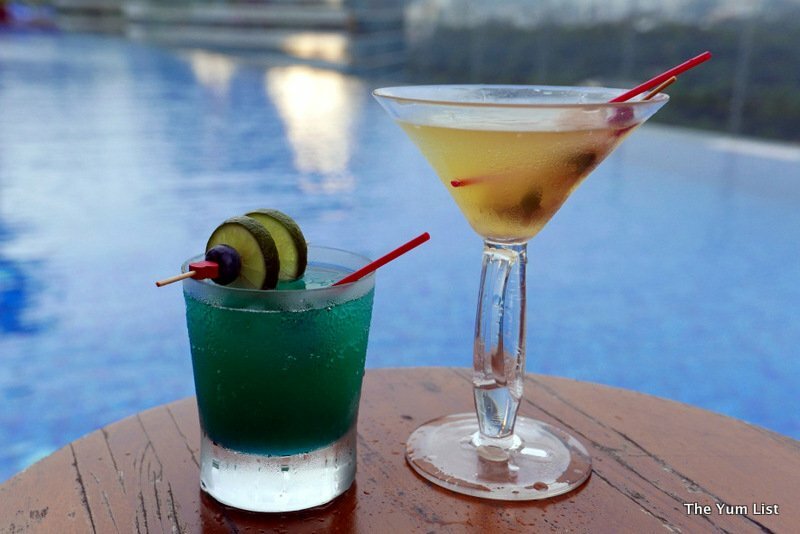 A classic poolside drink with a hint of added sophistication. Definitely a hit. For those with a sweeter tooth, we would recommend Titoro. Rum. Fresh pineapple juice, and lychee syrup. Refreshing and very tropical, it’s definitely a ladies drink. But be warned; their drinks are nice and strong, so be prepared to meander back to the elevator after a few. As the sun was down, that distinctive BBQ aroma began wafting through the air. 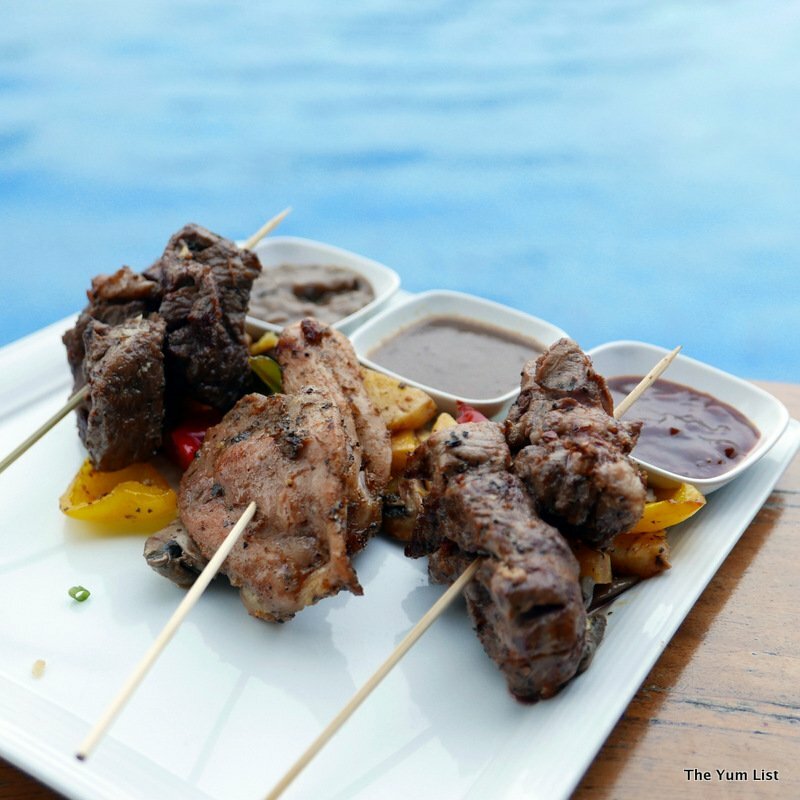 Think tapas, platters, and light food – in its essence – but in reality, these were generous skewers of select poultry, seafood, and meat cuts, barbecued to your order, each served with baked potato and corn on the cob. With prices from RM 10, these skewers are great value. 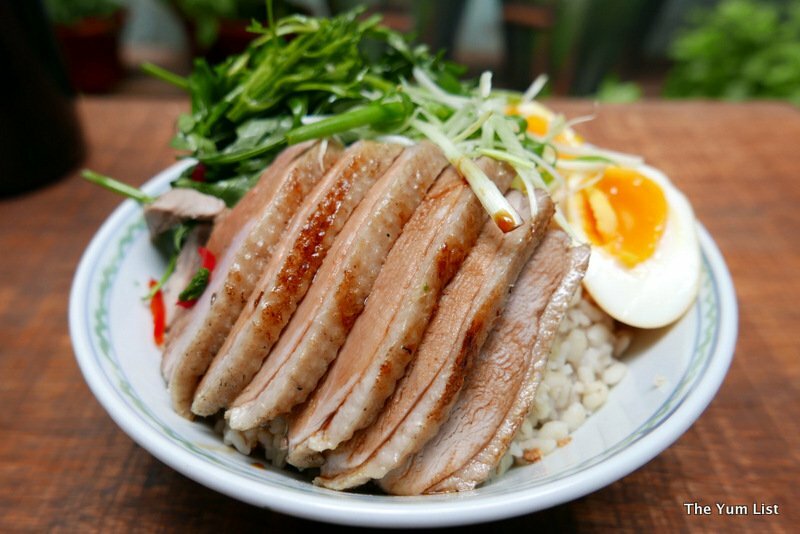 We sampled the full menu – certainly more than snacks – so do consider coming here for dinner. 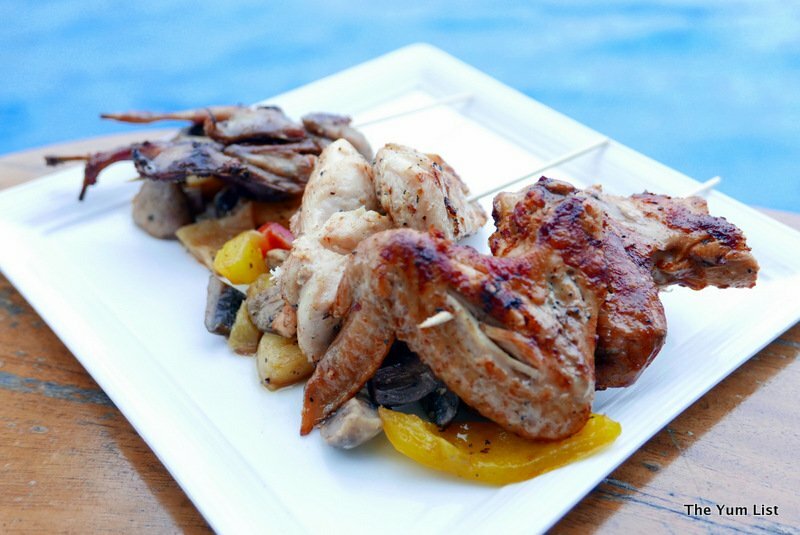 You may think that a few skewers sounds like light work, but once you get started, you soon realize that dinner is on hand. The hot and spicy chicken wings were nicely marinated, served piping hot, and the meat melted away from the bone. For tender chicken, try the Caribbean chicken thigh. 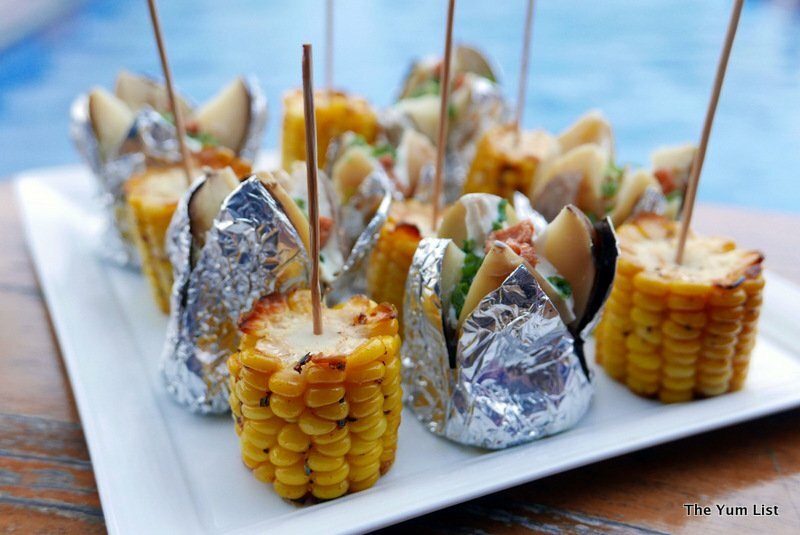 Smothered in spice and citrus juice during marination, these perfect morsels charred up nicely on the BBQ, and left us wanting for more. But don’t stop here, their Turkish style chicken breast – served with paprika and yoghurt – was just as sumptuous. An interesting experience was Thai spicy quail, with lemon, garlic and ginger. It’s not often I get to eat quail, and it is certainly tasty. If you’ve never had it before, give it a go. You will love it. For those who need a little more “red” in their culinary intake; Mai Bar-beque serves both beef and lamb options. Tender Texas style beef with pineapple was succulent, with generous slabs of beef cooked just right. Lamb leg with balsamic was equally as enjoyable, with juice lamb pieces and a hint of sweetness from the warmed balsamic. Seafood also featured on their menu. Greek Squid with lemon and oregano, and juicy Cajun tiger prawns were a treat for my companions this time around. The ambiance is fun and charming and the cocktails look absolutely delicious! I love it…when there is someone to do the barbecuing for me. LOL!! !